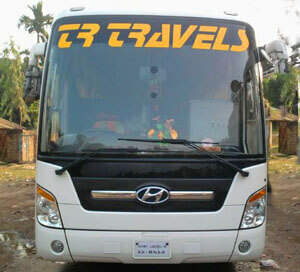 TR Travels is a leading transport company in Bangladesh. They provide their service from Dhaka to North Bangladesh and to Chittagong and Cox’s Bazar. The company started their journey on May 28, 2008. Since then, they operate the business and keep the goodwill of the company. Any opinion of the passengers is considered cautiously. The company has all types of buses including AC and Non AC buses. Recently, they have added world-class Hyundai-Universe Express into their tallies of buses. You can find all necessary TR Travels road service information from the counter. You can visit the counter to buy tickets or to know information. You can also know by calling over the phone. TR travels contact information with the counter is given below. You can buy your necessary ticket from any counters of TR Travels. You can also book your seat over a phone call. The manager of the counter will provide your booked seat after your payment. You can also buy a ticket TR Travels bus ticket online by visiting shohoz.com. Buying a ticket from online is very easy. It saves your valuable time and money. The international service is not available yet. If it is available, a notice will go to the press and social media. You can buy TR Travels online bus ticket from shohoz.com. Sohoz.com offers TK 150 off for the online booking. You can visit the website and get TK 150 off. But the biggest offer is to use the app. You’ll get up to TK 300 by using the app. Just download the app and login to book your ticket.